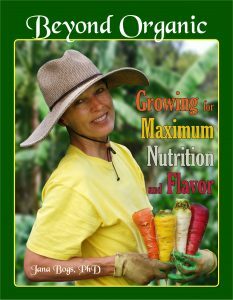 Dr. Jana Bogs and Sustainable Kohala will host an evening presentation on February 13 to discuss a fundamental paradigm shift in farming and gardening–to a focus on growing more “nutrient rich” foods. Bogs will describe the history which explains how the nutritional value of fruits and vegetables has suffered dramatic losses over the past 60 years due to the influence of big agribusiness. She will show how nutrient density can be regained. Due to the ‘unsustainable’ practices of agribusiness farming, the nutritional value of fruits, vegetables is much lower than it was early last century. USDA documentation and several scientific studies prove this claim. Nutrient testing of produce reveals that, in some cases, organic produce has a higher nutritional value. 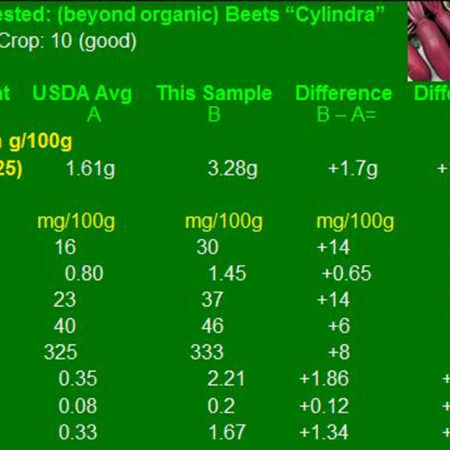 However, this is not a consistent finding, and, unfortunately, sometimes organics have lower nutrient levels than conventional. An apple can be perfect by organic standards (no bug or weed killers) and yet be significantly lower in nutritional value than a conventionally-grown apple. 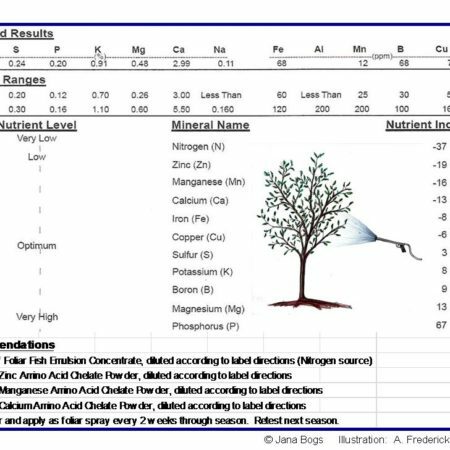 Soil mineral balance is a critical factor which is often overlooked. Bogs will explain how a new paradigm in gardening and farming is going “beyond organic” to “nutrient rich” standards and practices. This is a perspective that, while it meets and exceeds organic standards, it is prescriptive rather than merely restrictive. It looks to see what is needed to optimize the genetic potential of the plant. Rather than telling the farmer/gardener what he/she cannot do, it prescribes for them what they need to do to grow the very best quality food. Bogs defines “best” for the consumer as the best tasting, the highest nutritional value, the most appealing and beautiful; for the merchant as the longest shelf-life and the most desirable product; for the grower as the highest yield, the lowest insect pressure and the most disease resistant; and for the environment as practices which ensure clean air, water and soil. The February 13 presentation will take place at 7 p.m. at the Kohala Intergenerational Center (KIC) located behind the Hisaoka Gym in Kamehameha Park. The event is free and open to the public. Dr. Jana Bogs is a nutritionist, food scientist, and horticulturist.